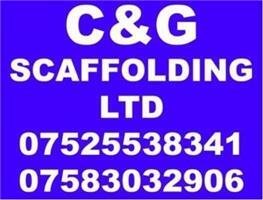 C & G Scaffolding Ltd - Scaffolder based in Northwood, Hertfordshire . C & G Scaffolding Ltd consists of 2 directors, Dan and Gareth, who started and developed this company in 2015. We are a family run business and have a combined experience of 12 years in the trade. We can undertake work that requires any form of access such as: Temporary roofs for loft conversions, re roofs, fascia and soffit repairs, maintenance of building and windows, painting works, new build projects, demolition and repair work and many more.